A 2 year old had been coughing for weeks, and the family was extremely anxious because of their unique family history. 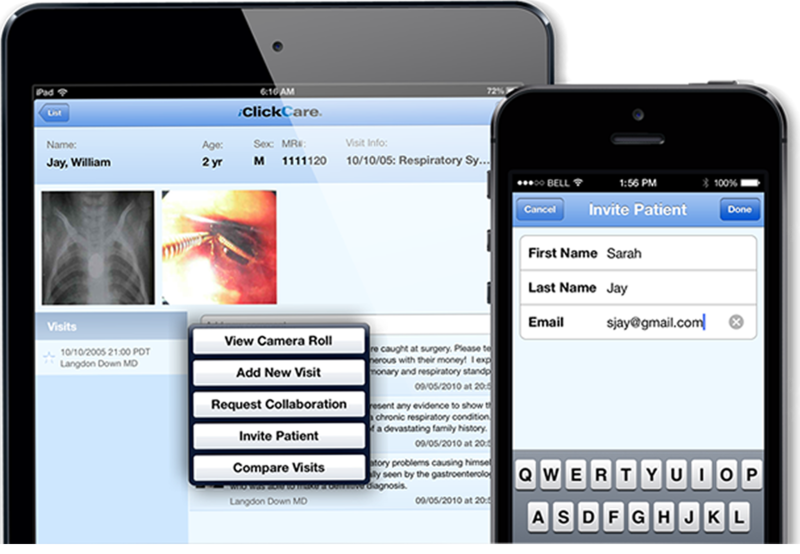 After endoscopy, the surgeon -- using iClickCare, was able to securely invite the mother to view her child's record, and include a picture of the quarter about to enter the stomach. This is not unique for toddlers, but is no way to keep track of your money!